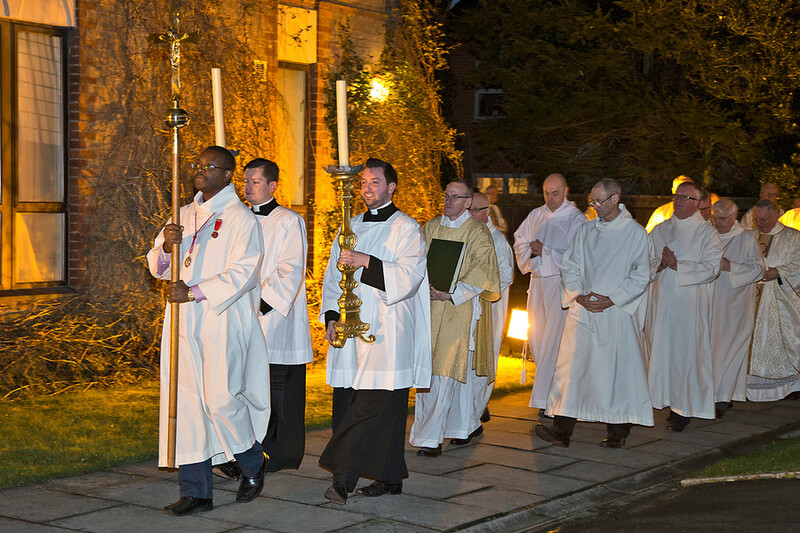 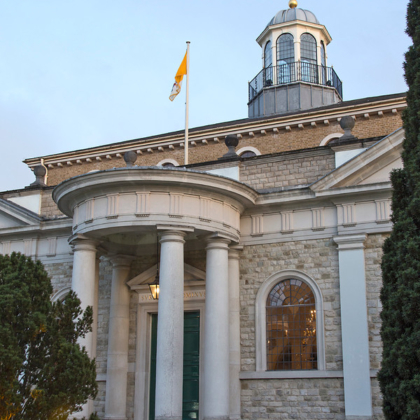 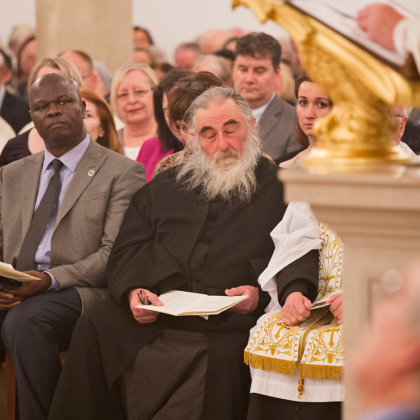 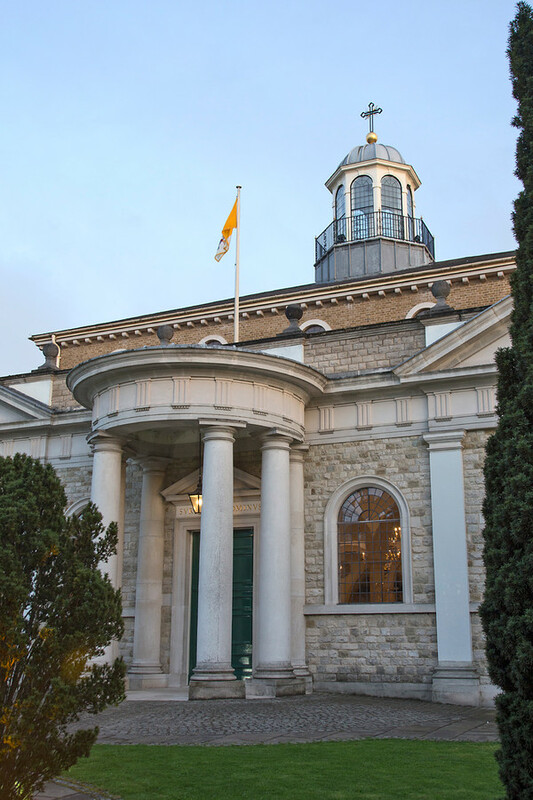 A celebration marking the centenary of the founding of Brentwood Diocese on 22 March saw church leaders remember those affected by the terrorist attack in London earlier in the day. 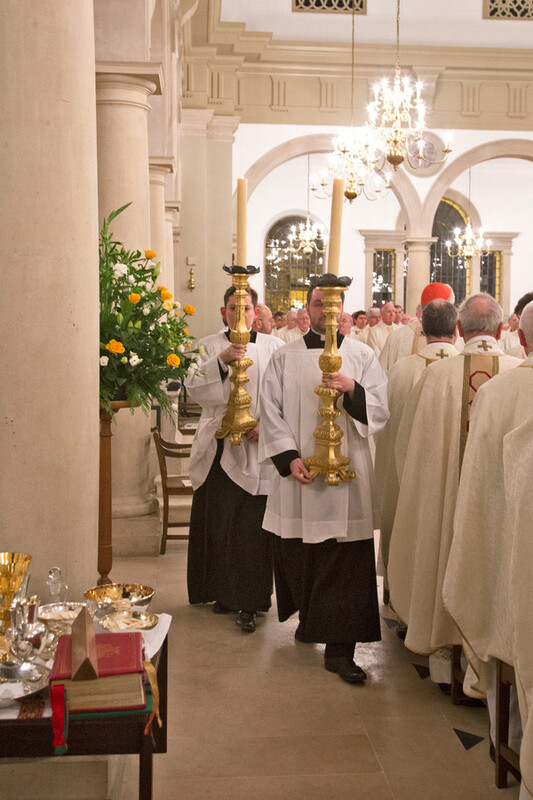 Cardinal Vincent Nichols, Archbishop of Westminster, Bishop Alan Williams sm of Brentwood Diocese and Bishop Roger Morris, Anglican Bishop of Colchester, all said their thoughts and prayers were with those who had died or been injured and their grieving families. 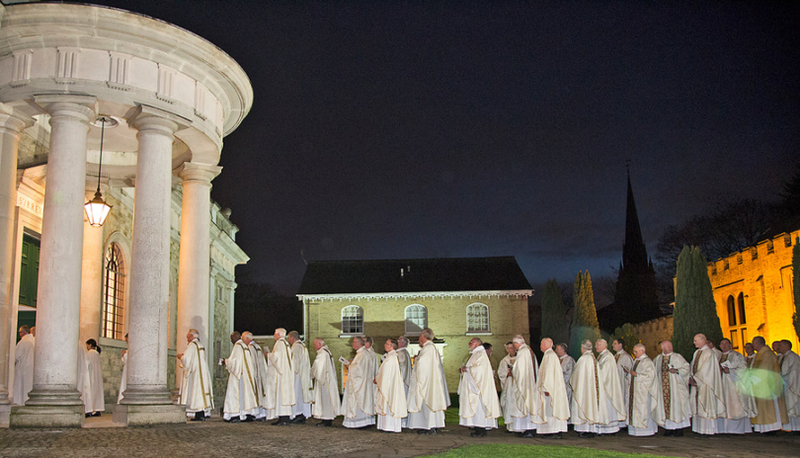 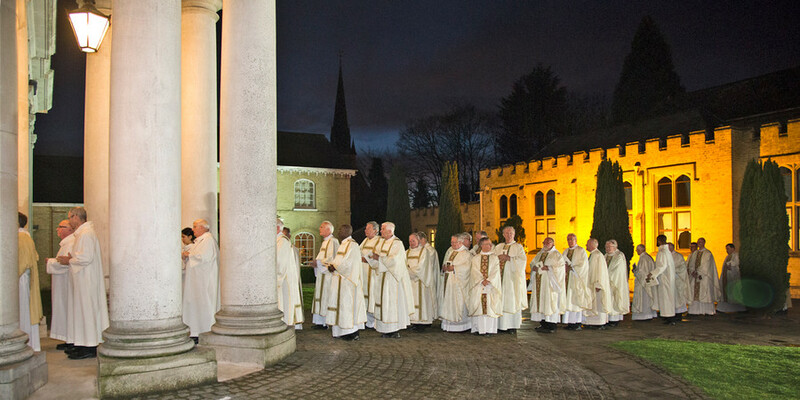 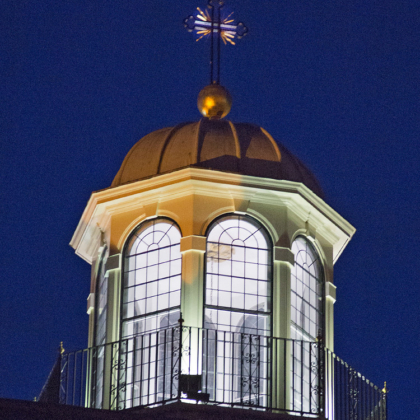 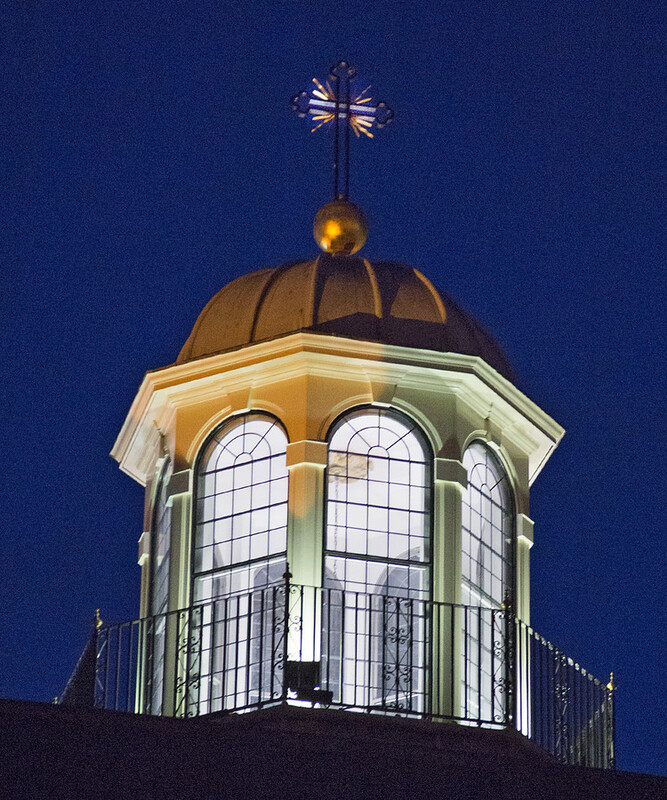 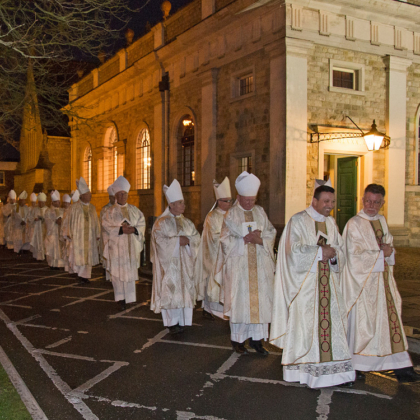 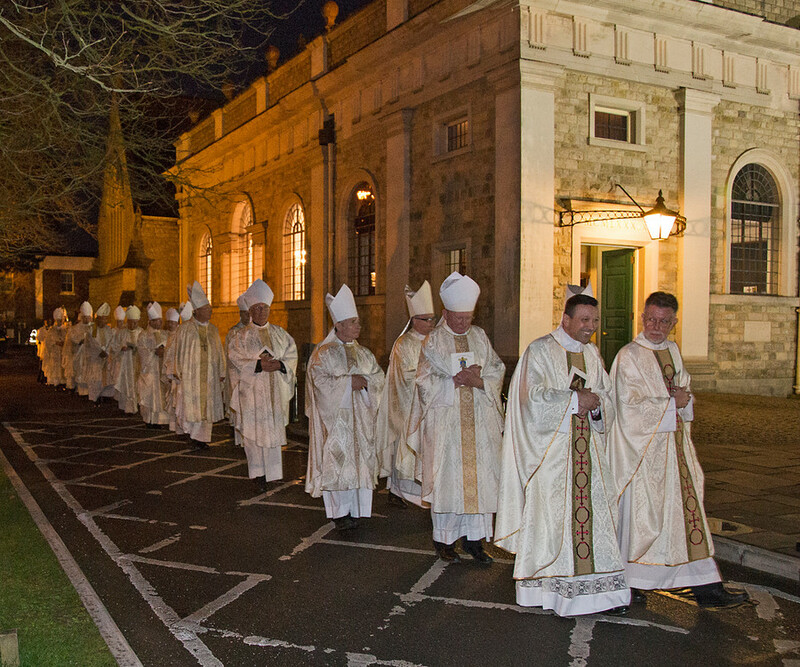 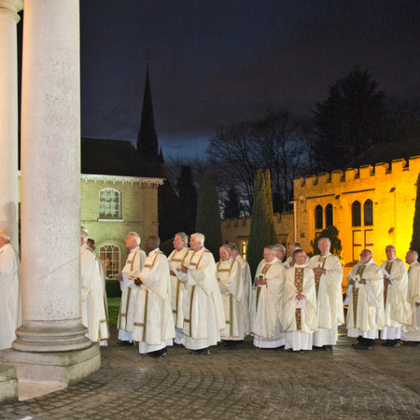 The evening Mass in Brentwood marked the formation of the Diocese, which sprang from its parent Westminster 100 years ago. 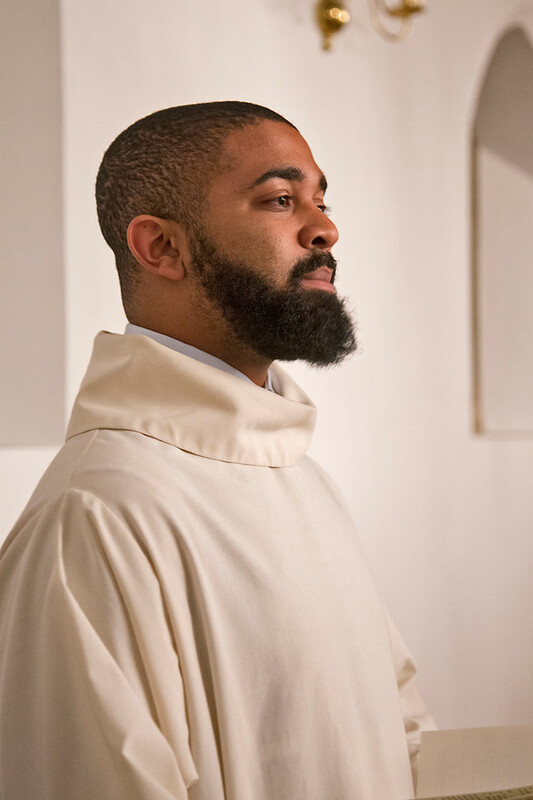 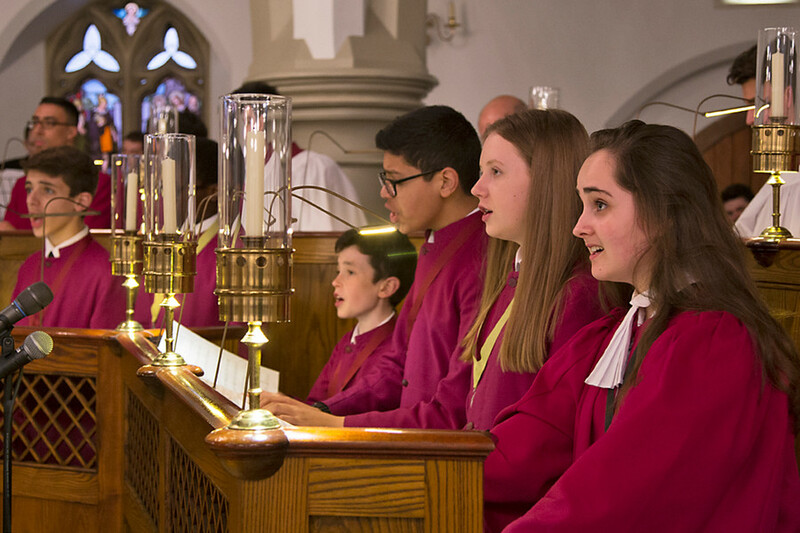 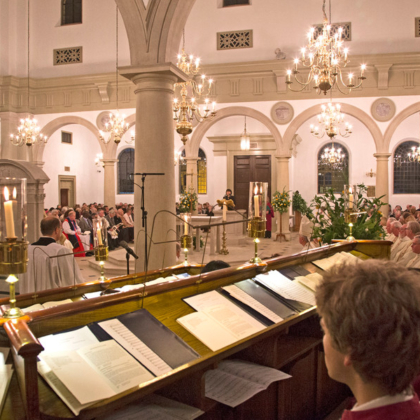 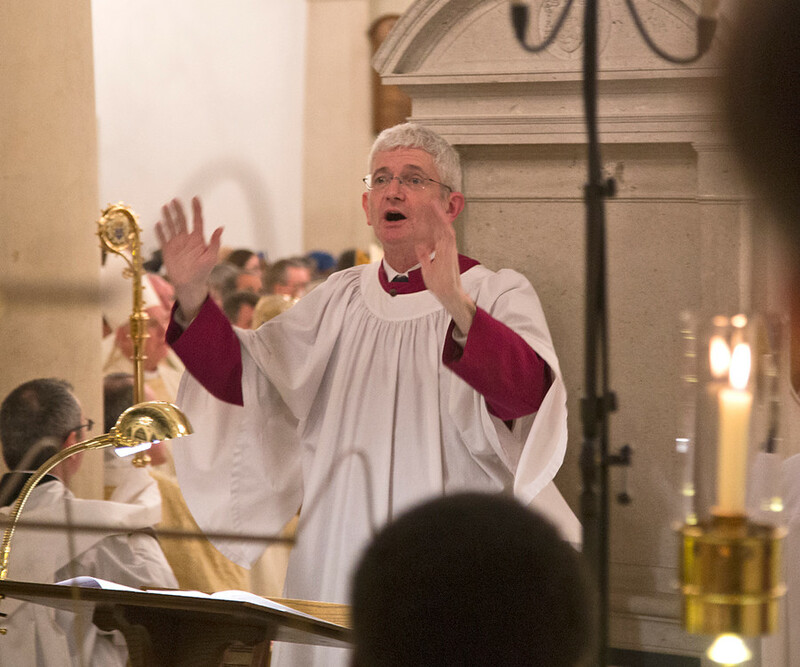 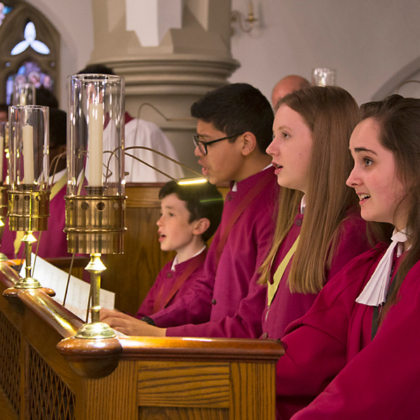 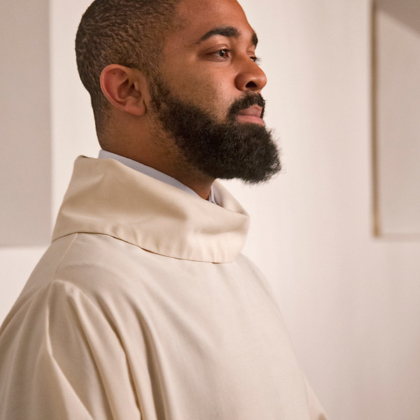 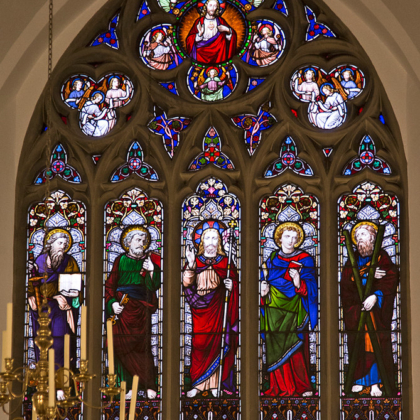 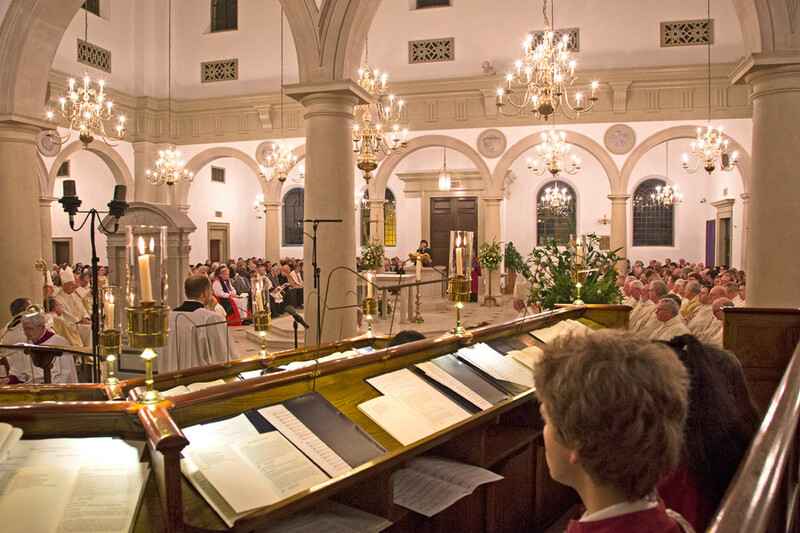 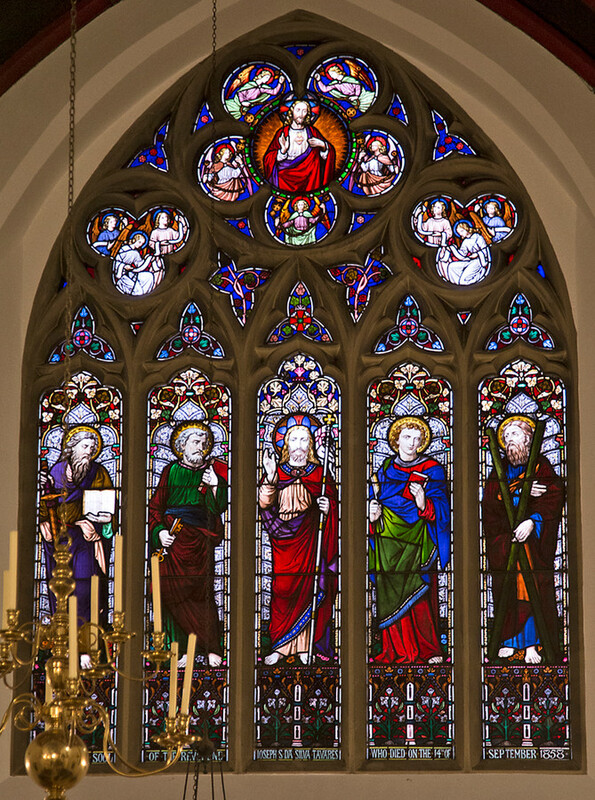 It took place in a brightly-lit Brentwood Cathedral, packed with people. 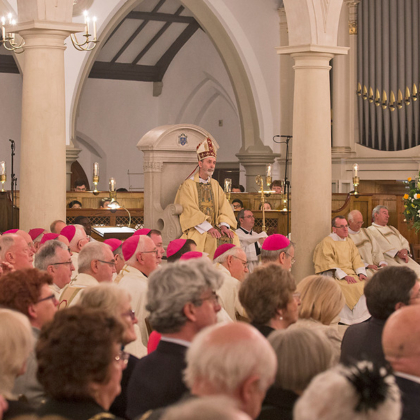 Local dignitaries included the Mayors of Brentwood, Southend, Rochford, Chelmsford, Epping and Castle Point, the High Sheriff, the Lord Lieutenant ‒ Lord Petre – MPs Sir David Amess and Andrew Rosindell, and Chief Constable Stephen Kavanagh. 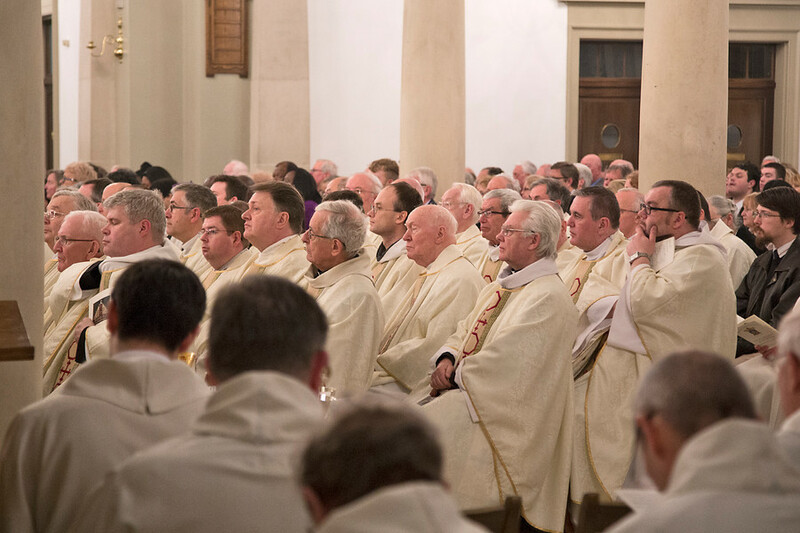 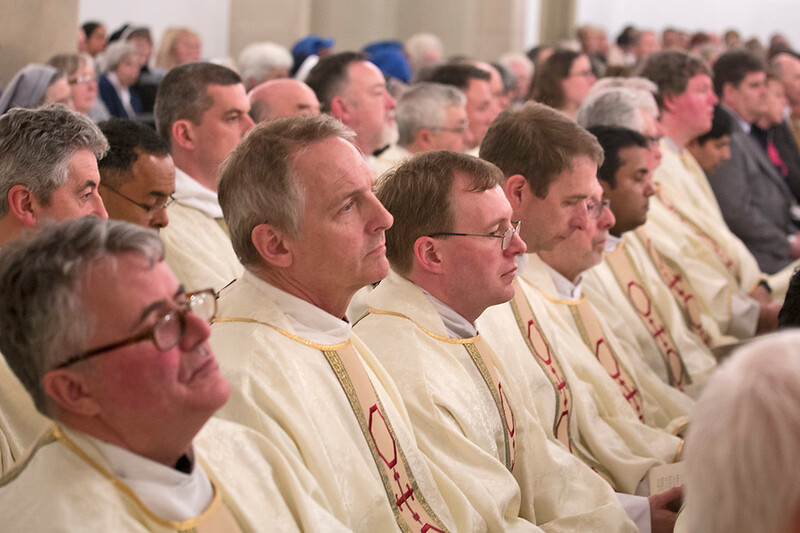 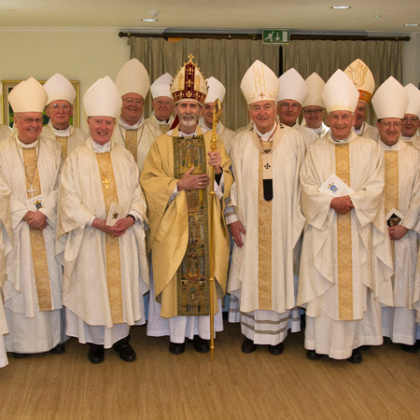 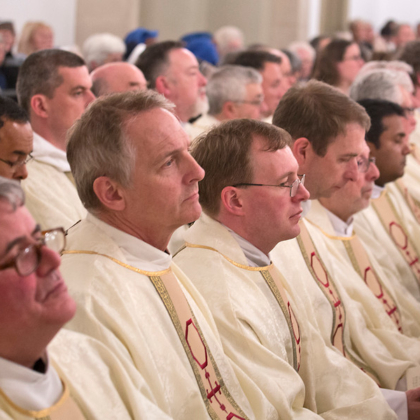 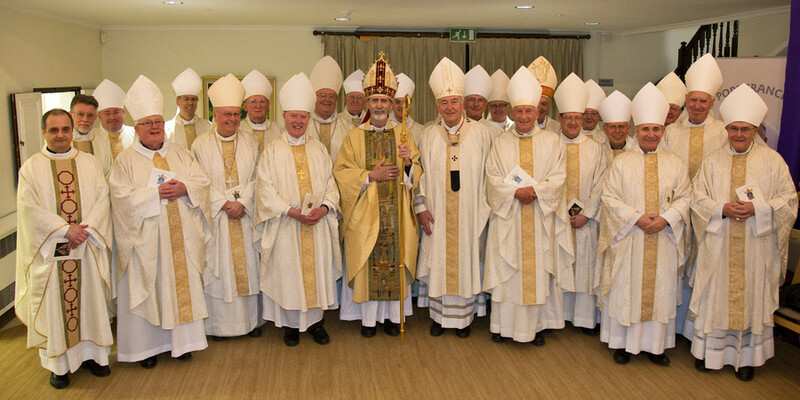 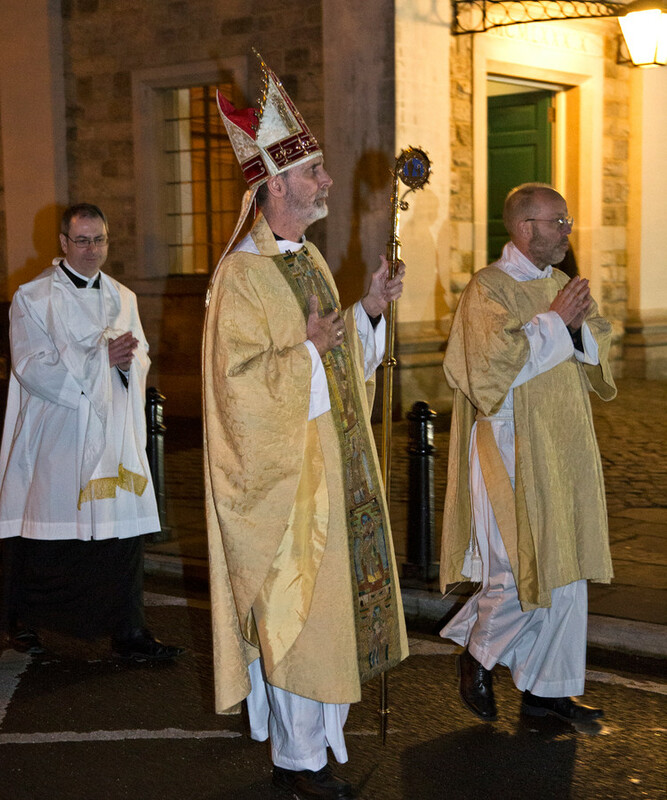 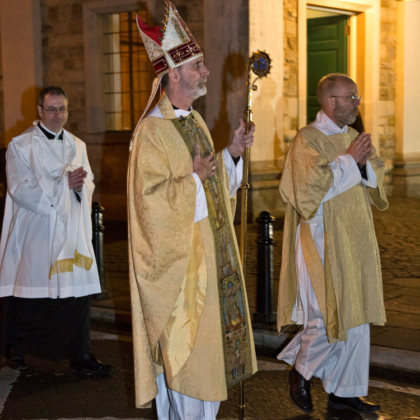 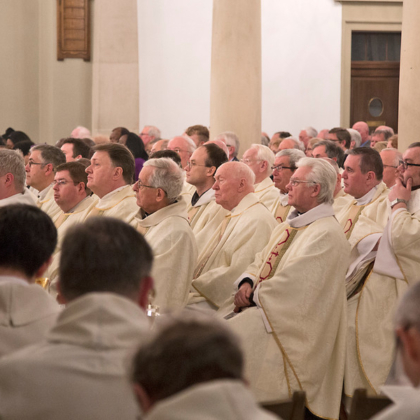 Religious leaders from other denominations joined the Cardinal, Archbishops George Stack and Peter Smith, numerous bishops from around the country and as far away as South Africa, diocesan priests and parishioners. 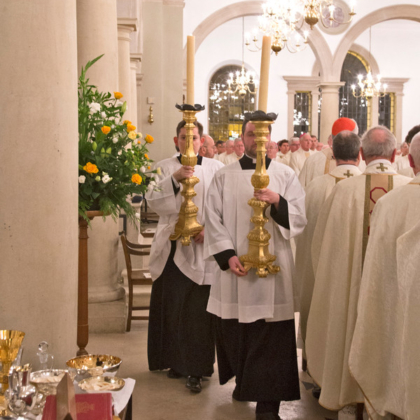 Bishop Alan Williams wore the mitre of Bishop Ward, the first Bishop of Brentwood who was enthroned on 7 November 1917, and carried his crozier for the service. 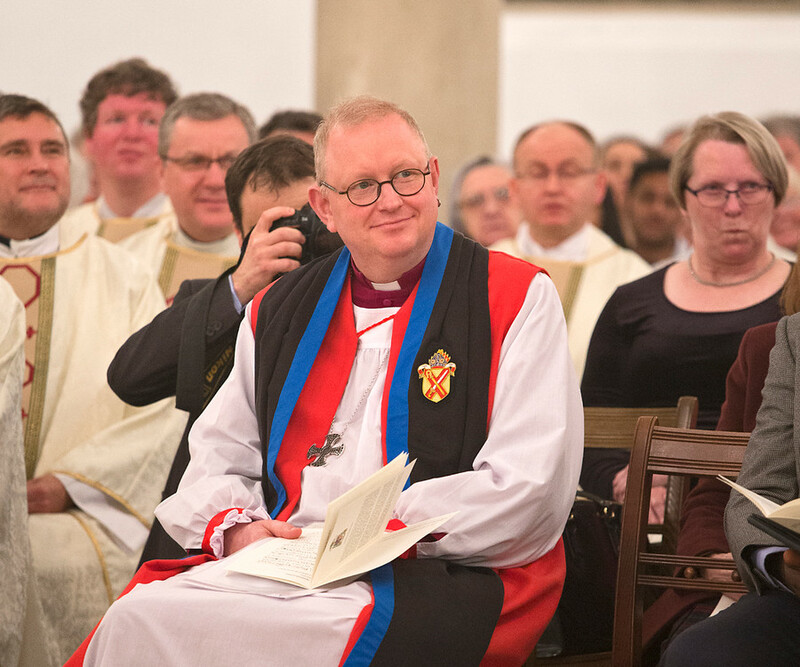 He began by voicing his concern for all those affected by the Westminster attack: “They are all very much in our prayers,” he said. 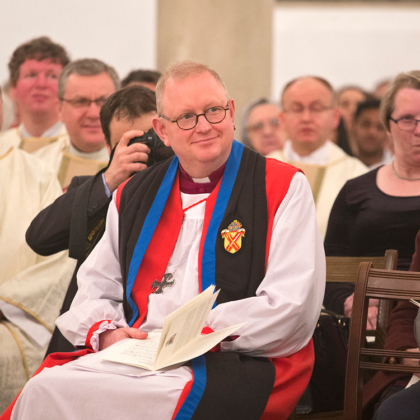 Bishop Alan then welcomed those present to the celebration, and in particular expressed his pleasure at seeing Anglican Bishop of Bradwell John Wraw, and thanked Bishop Graham Rose, who had made the journey from Brentwood’s twinned Diocese of Dundee in South Africa. 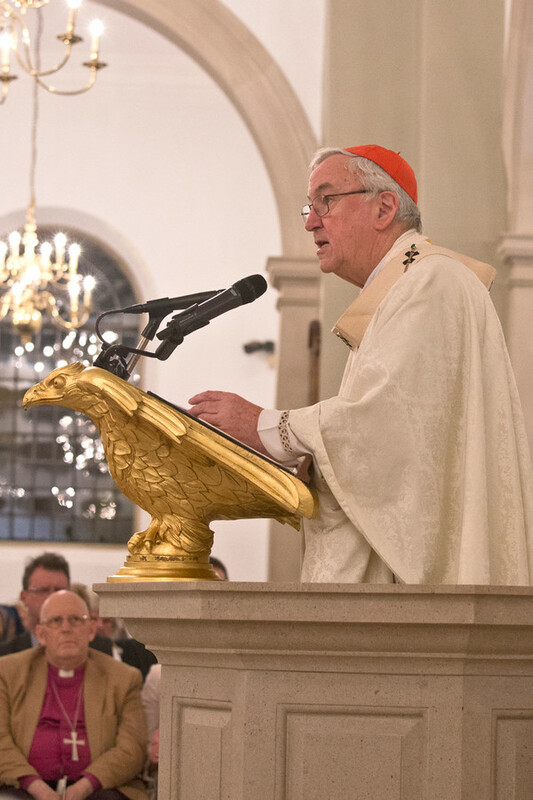 In his homily (Brentwood Diocese Centenary 22-3-17 (2)Cardinal’s homily ) Cardinal Vincent Nichols, Archbishop of the Diocese of Westminster, recalled Pope Francis’ words to young people: “If you want to be people of hope, then go home and talk to your grandparents – they have the memory of history, the experience of living, and this is a great gift that will help you in your life’s journey.” He continued: “As we celebrate the centenary of the Diocese, we look to our grandparents in faith. 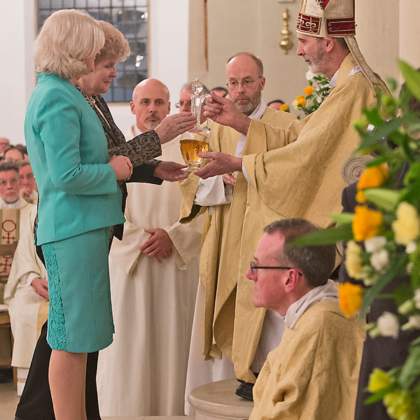 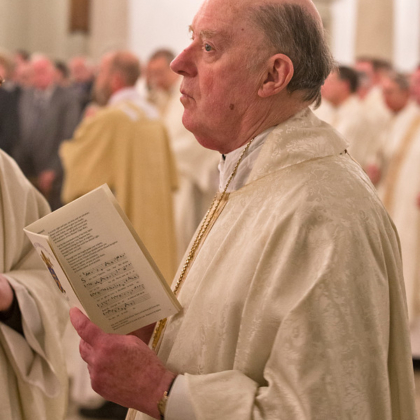 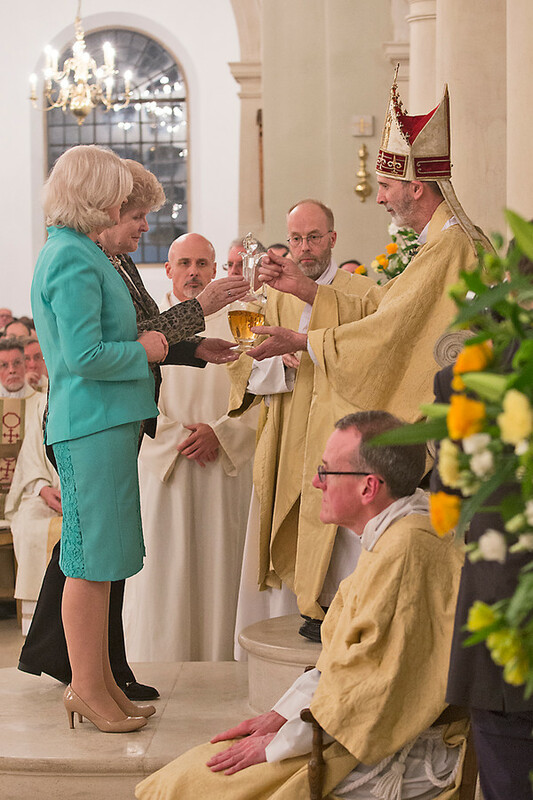 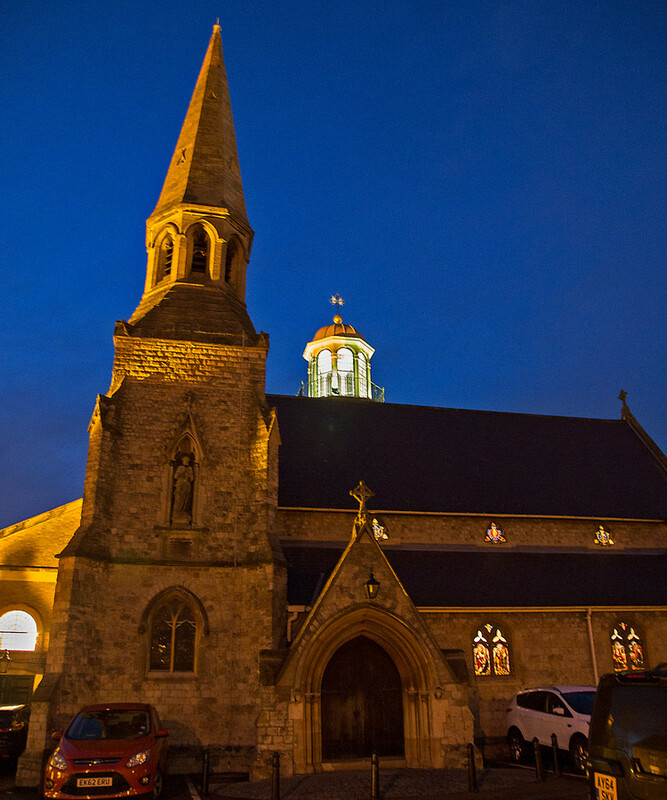 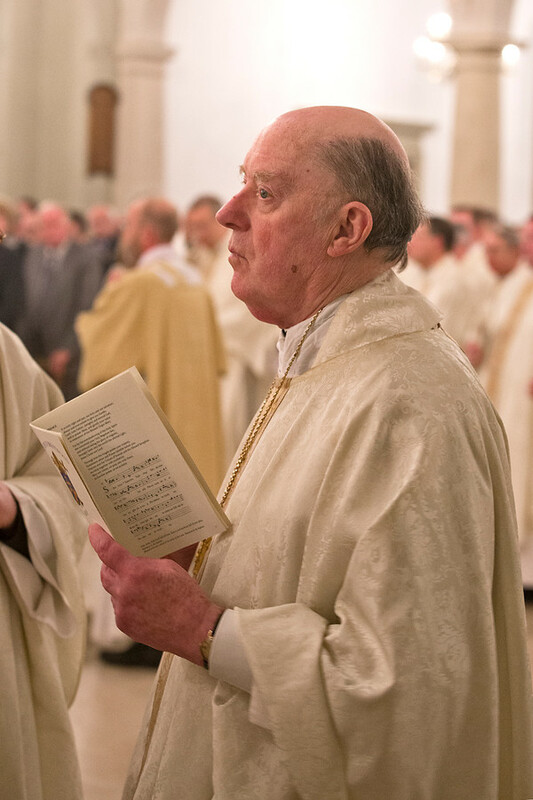 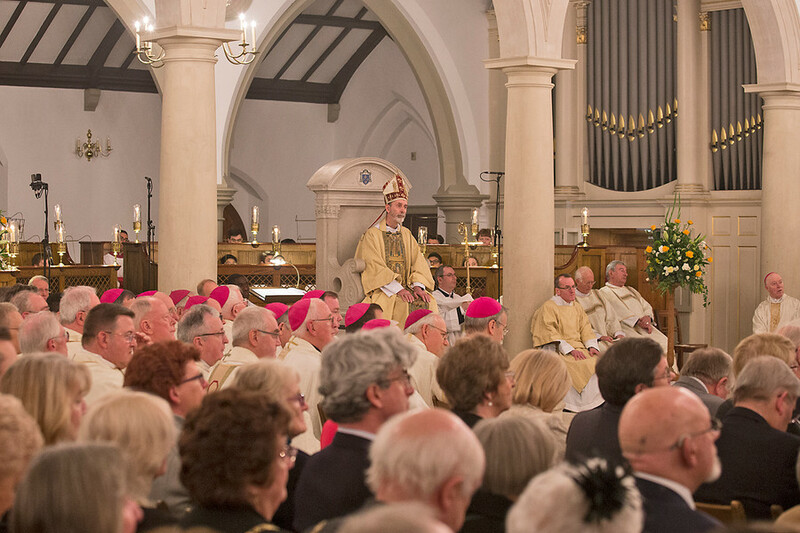 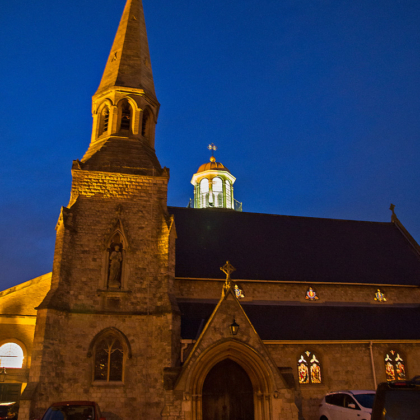 We look to them with gratitude for all they have done in establishing this Diocese, and in nurturing the faith of Catholics in East London and in Essex.” He chose this moment to pay particular tribute to the Petre family, which has made a significant contribution to the Diocese – and the Catholic Church over the centuries. The Cardinal talked about memories of the Diocese, its bishops, priests and people which “provide the context for our celebration: they must not be forgotten but used to help us in our responsibility for the continued flourishing of the Catholic faith in this part of the world”. 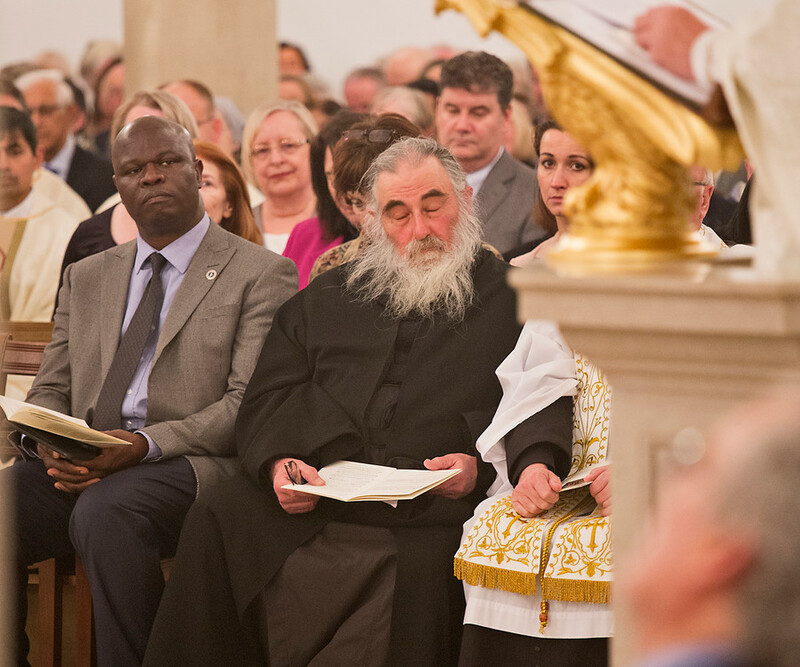 He said that faith finds a most eloquent expression when it is grounded in the real circumstance of life. 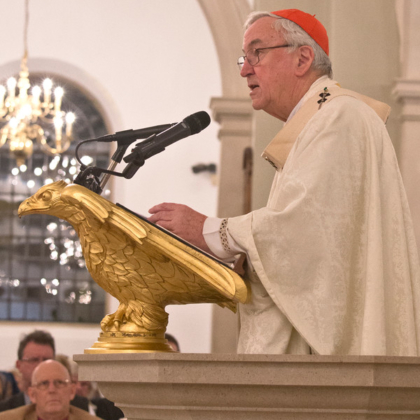 “Action is the test of our faith.” If we are to spread the Good News for the next hundred years, said the Cardinal, we must heed this call to the practical witness of faith. 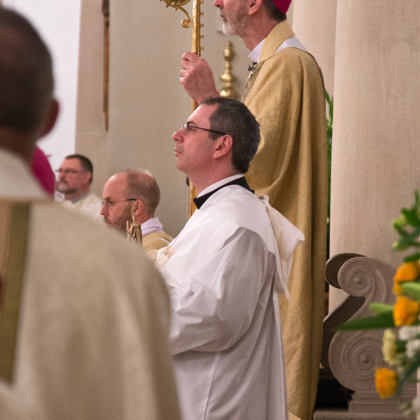 After Communion, the congregation heard a message from Pope Francis, read by Mgr Matteo de Mori, and one from Bishop Stephen Cottrell, the head of Anglican Diocese of Chelmsford, read by Bishop Roger Morris, the Anglican Bishop of Colchester. 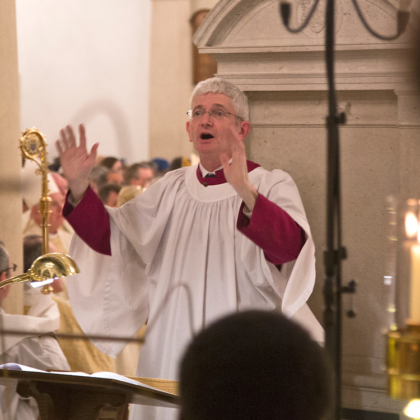 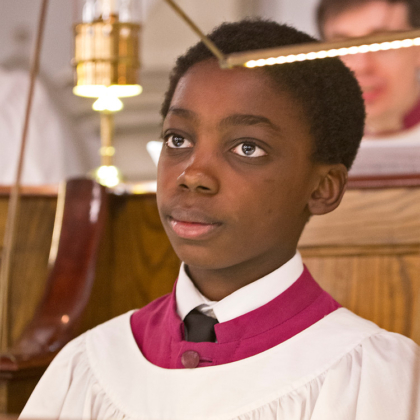 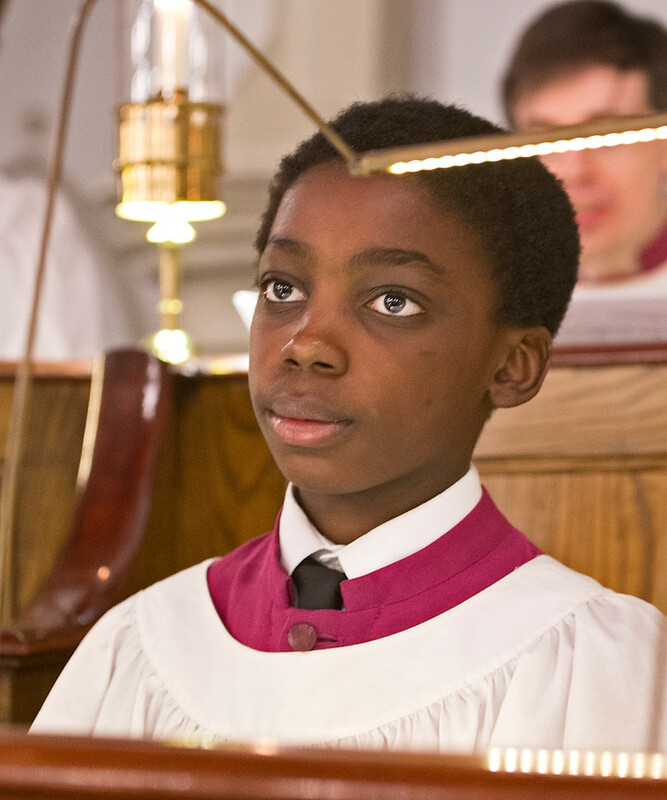 Music at the Mass was conducted by Andrew Wright, Director of Music, with Stephen King and James Devor at the organ. 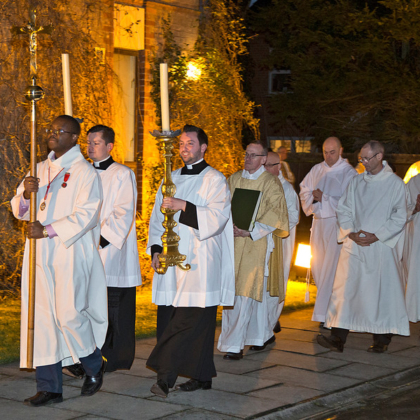 The trumpeters were Sam Lewis and Stephen Peneycad. 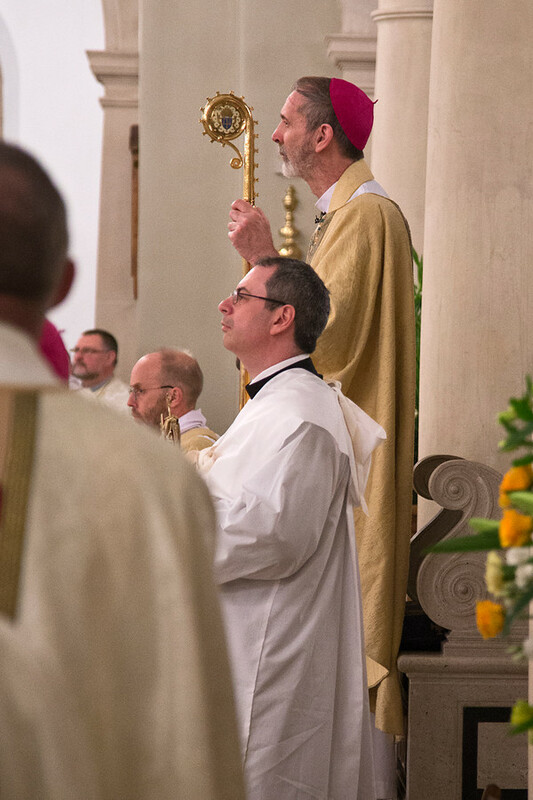 For more pictures, access the Catholic Church flickr stream here.